Dog days and wascally wabbits! This severe drought has taken an immense toll on the garden. Summer scorched what little grass remains in the backyard. The salvia microphylla planted in the rear garden islands stand naked, having dropped most of their leaves. The white salvia plantings in the side yard got trampled on by some foster pups and perished in the heat. At least one purple salvia still stands erect, its sibling a few feet away lies low but valiantly blooming. The Natchez myrtle is thriving off its green suckers but I intend to prune it down to see if it can be stimulated into growth for next year. The most annoying (and disheartening) discovery I made was the theft and destruction of my lily garden by some hungry hares. Several holes and uprooted lily stems gave evidence of the buffet. I found a few stray bulblets and quickly buried them. The last butterfly bush was ejected from its corner, left to wilt in the sun. Gaping holes stare at me from the wrecked landscape. 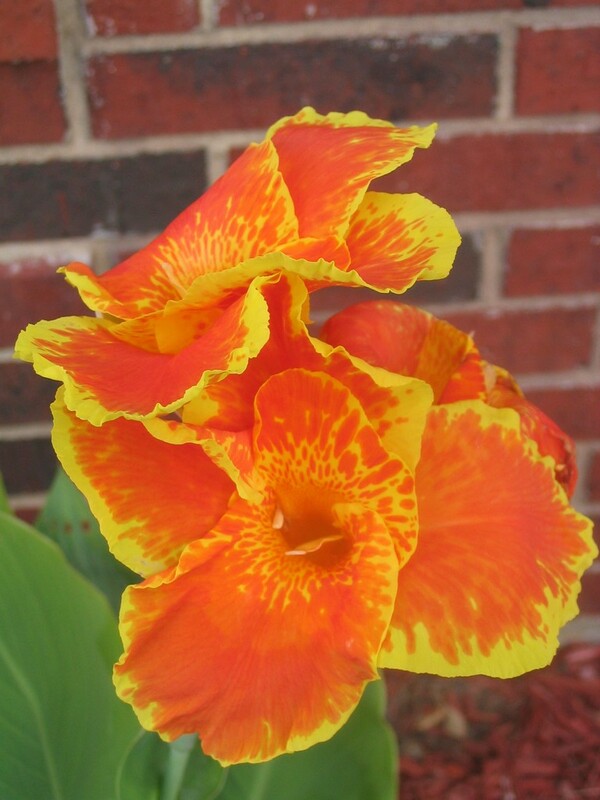 Oddly, the pests ravaged the east side of the lily garden; the west side remains largely intact host to a few dried out lily stalks. 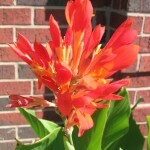 The front yard is my only consolation now. While the weather singed the tops off the transplanted nandina, the rest continue to flourish. 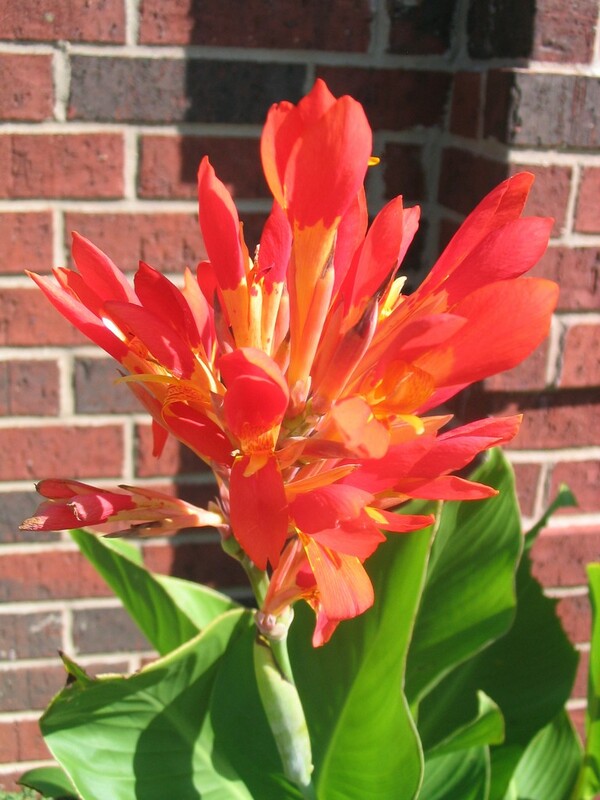 The canna colony continues to flower, and the red salvia are constantly aflame…some bald patches on the lawn, and weeds occasionally interrupting the landscape. For the most part, the front yard fared better than the rear yard. 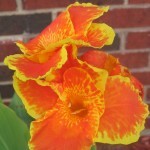 Pictured is the second canna lily gracing us with its scarlet freckled face and yellow trim ruffles.